Giro d’Italia organiser RCS Sport confirmed today that it will take its 2015 edition up the Madonna di Campiglio, on May 24, for the first time since 1999. “The relationship between the Giro d’Italia and Trentino is deeply rooted on both territorial and sporting levels,” said Giro director, Mauro Vegni. Trentino, a province in Italy’s northeast, will host the Giro for three days with the end of stage 15 to Madonna di Campiglio, the next day’s rest day on May 25 and stage 16’s start from Pinzolo on May 26. Pinzolo also marks the start of the Madonna di Campiglio climb, which rises for 16.2 kilometres and never reaches more than 7.4%. This year, different from 1999, RCS Sport added a twist. After Madonna di Campiglio, the stage continues for two kilometres to Patascoss at 1715 metres and switches from a rather gentle gradient to double digits. 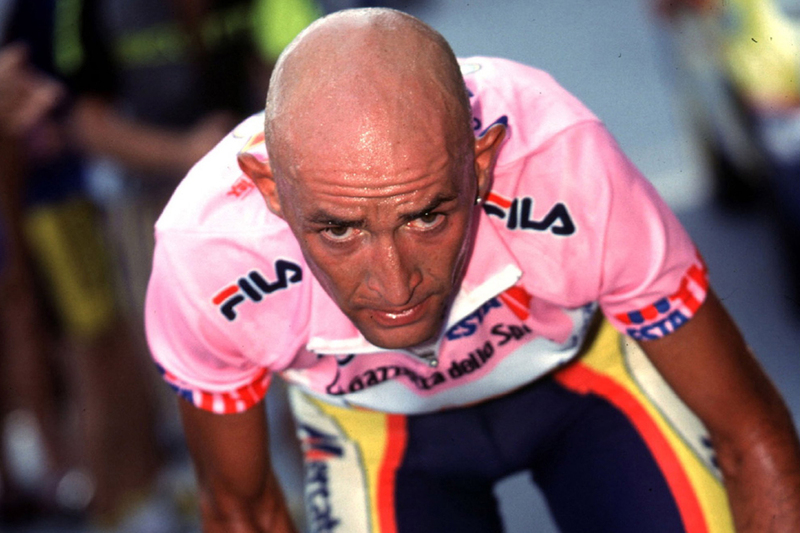 Marco Pantani’s name is for better or worse linked to the Madonna di Campiglio ski resort. On the morning after he won the Madonna di Campiglio stage ahead of Massimo Codol and Laurent Jalabert, test results indicated EPO use and forced him out of the race while in the leader’s pink jersey. The 1998 Giro d’Italia/Tour de France double winner never won another stage of the Giro again and died of a cocaine overdose in 2004. The Madonna di Campiglio stage will end the second week of the Giro, which runs May 9 to 31. In the third week, the Giro is expected to head west via stages over the Mortirolo and the Gavia Pass and confirm its winner with a final mountainous day that includes the gravel Colle delle Finestre and a Sestriere summit finish. An expected stage from Turin to RCS Sport’s headquarters in Milan will act as a victory parade for the eventual pink jersey winner. RCS Sport already announced that the coastal region Italy’s northwest will host the Grand Départ of the 98th edition. It begins with a team time trial on a seaside bike path to San Remo and continues with road stages to Genova and to La Spezia. Afterwards, the race reportedly will travel south through the Lazio and Campania regions and head back north along the east coast via Molise, Le Marche and Emilia-Romagna. The organiser will announce the entire ‘pink course’ at the route presentation on October 6 in Milan.